Hey everyone! It’s Fiona back here, hope you are all ready for the weekend! If you follow me on Instagram (@fionazanetti) you may have already been teased about the subject we’re going to talk about today in this new Kaytips article. Indeed a couple of days ago, I was in Zürich (my favorite city in Switzerland by the way) for the Mercedes Benz Fashion Days, Switzerland’s little so to be called fashion week. As you may know, fashion industry isn’t as present in our little country as much as it is in Italy or France. But it doesn’t mean that there’s no interest of a lot of Fashionistas seeking for the new IT pieces of the season. It’s so honestly so refreshing and exciting to see things happening and moving on in terms of fashion out here! One cool thing about Mercedes Benz Fashion Days is that in comparison to certain fashion weeks like Paris or Milan where you have to invited as a special guest to attend the shows, in this case if you’re a big fan of the designer showing that day, you can simply buy tickets online and spend the evening at the Fashion days tent discovering the new collections of some super cool designers. You don’t necessarily have to be an influencer, a blogger or an editor-in-chief to be invited, you can just be into fashion and/or willing to spend some fun time! So I thought it was a perfect occasion for a little Zürich Fashion Guide, with my must-go, must see places while in Town. I missed Kristina especially this weekend as we used to go to Zürich together most of the time. I’m getting emotional just thinking about it, but I mean you know… girl-connection are strong (only a few days left before she’s back and it’s going to be girl time back again!!!). Us swiss germans have our own special swiss made Ladurée-like macaron treat. You named it, it’s Sprüngli’s Lüxembourgerlis! 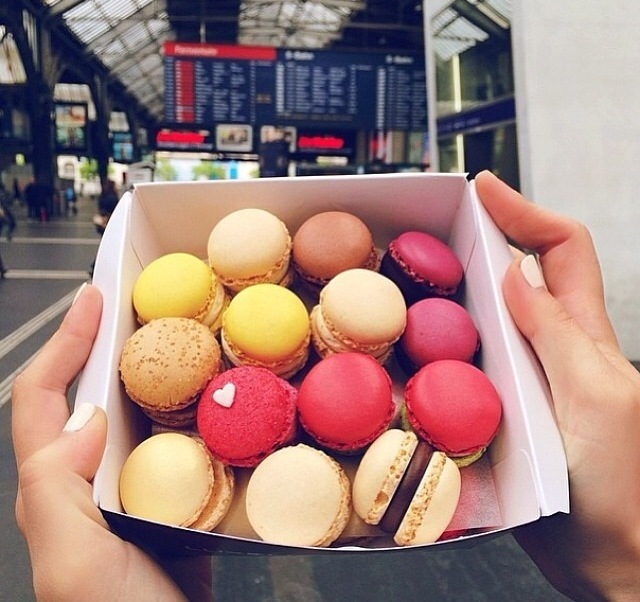 It’s a tradition, when we get off the train we go straight to Sprüngli (they have a store right at train station) to get a box of our favorite Lüxembourgerlis, they’re theses delicious little macarons, much smaller and lighter than the regular ones. So no excuse (even a diet doesn’t count), you have to get a box next time you’re in Zürich or if you ever visit! P.S It’s very “Instagrammable” too! 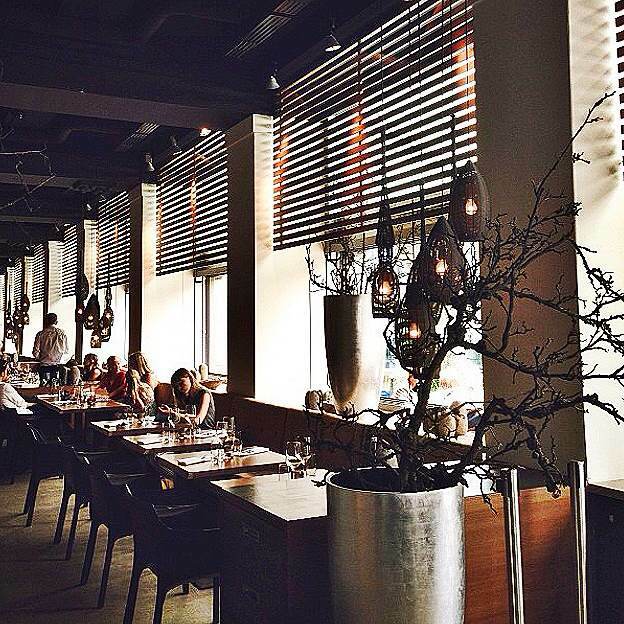 Park Hyatt is Kayteam’s home away from home when we are in Zürich. Not only do they have the kindest, most generous and sweet team ever, they also end up having one of the coolest bars in Zürich called The Onyx. The hot spot won prizes at the Swiss Bar Awards for their delicious creations. During Mercredes-Benz Fashion Days, they even create special “fashion” cocktails for the After-In Between-Shows. The perfect place to spend the night with friends around some cocktails in a stylish decor. My two favorite places to eat in Zürich are Korner, it’s a very cool place to have a burger-and-beers kinda night with your friends, the decoration is very laid-back and they have super good vegetarian burgers (I don’t eat meat). The second one is Aura, if you want to wear that new party dress you have and crave a more fancy night out. Their red wines are on point too! When it’s sunny, make sure to have some Luxembourgelis, have your sunglasses with you and take a walk along the Limmat from Bellevue. The Altstadt of Zürich is so charming, you’ll feel the real swiss vibe, there’s a lot of little shops along the way. Perfect way to relax after a night out and spend some quality time. These are some really wonderful tips for Zürich that I'll definitely note down for when I'm there hopefully next year! Fashion Days sounds very similar to my hometown fashion festival, where you can buy tickets to sit front row at shows. It's such a small industry here, but definitely growing big time! Great post, thanks for the tips ! Great tips as I'll probably be coming to a wedding in Switzerland next summer! So, I gotta really bookmark this. Thank you beautiful Fiona! Mmm.. these Luxembourgelis looks yummy! :P Great post! So many lovely pictures! Wish I could go! I love your posts Fiona! Also, you can find some very typical swiss cheese fondue restaurants in the old town of Zürich, don't have the names now but it's very typical and cozy. Love your tips, thanks Fiona! Will be in Zurich this winter and certainly will check these places out! Thanks for sharing your favorite places ! Could you do this for NYC, as you did for Zürich and Miami ? It would be amazing !! 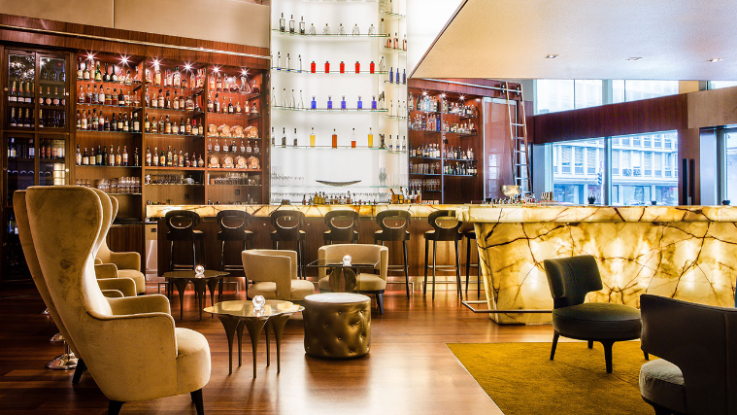 Onyx bar looks so chic and nice! I wish you a great day Fiona and can`t wait read more from you. Great tips! Any suggestions for good coffee spots?